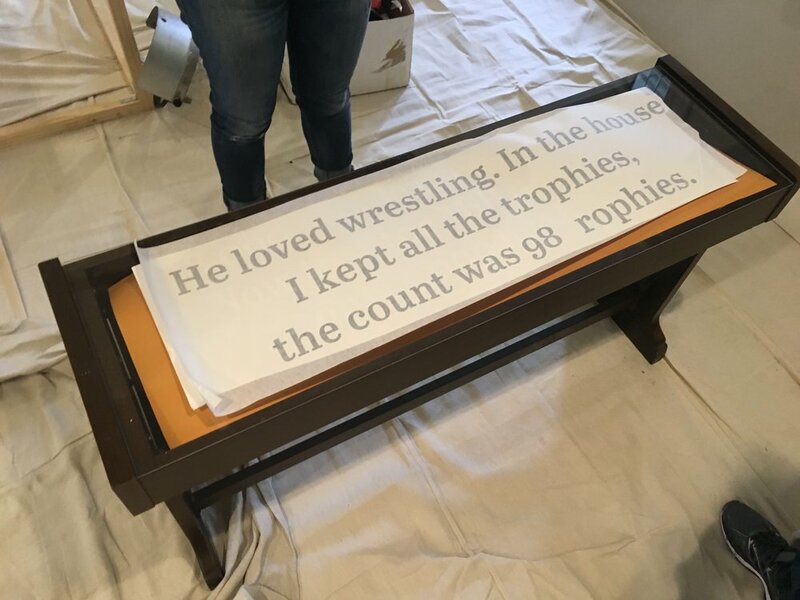 It was most important to us to build an exhibit that gave the community something they genuinely needed, rather than just what we thought they needed. 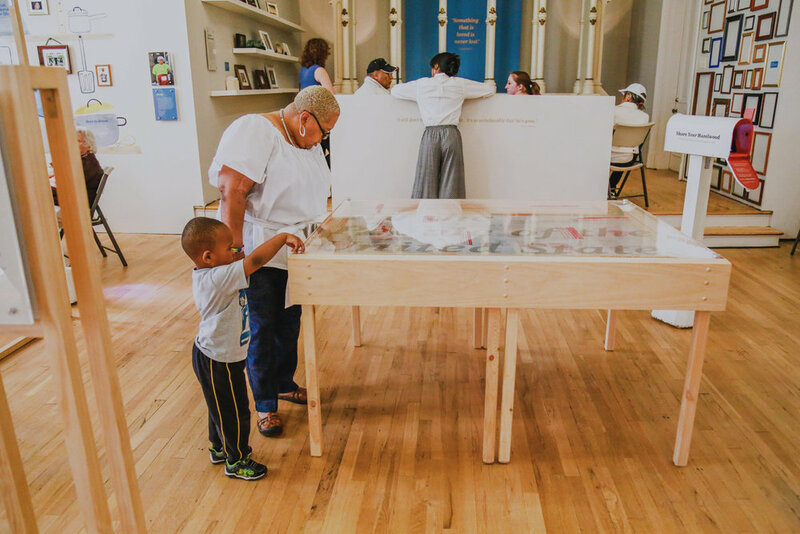 We built this exhibit with the Hazelwood community and decided together that this space needed to focus on not just the past, but also the future of this neighborhood. 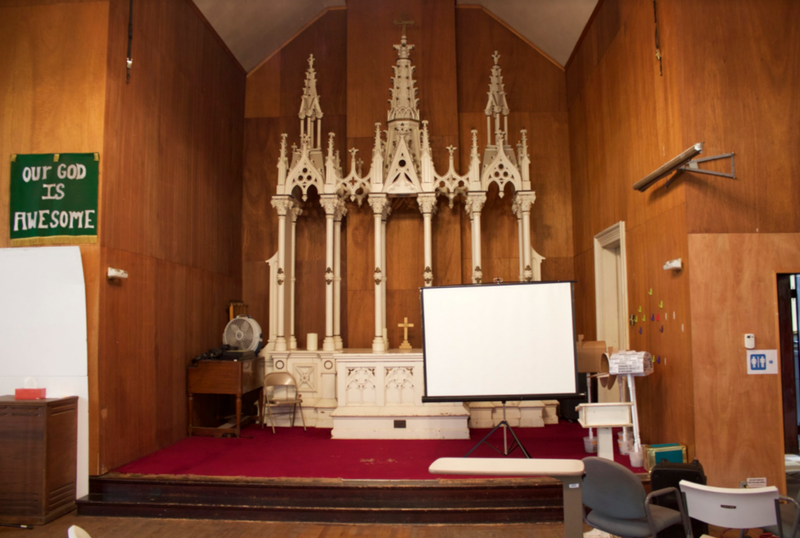 Great care was taken to ensure the space has sections to listen, learn, reflect, and celebrate the living and the lost. 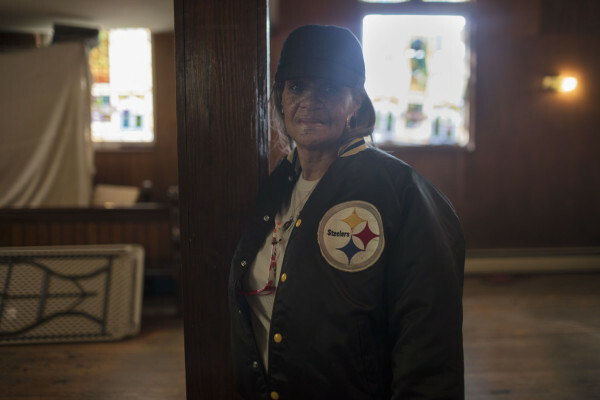 Over the years, the neighborhood of Hazelwood, PA, has seen the gaps created by lost industry become filled with urban violence. 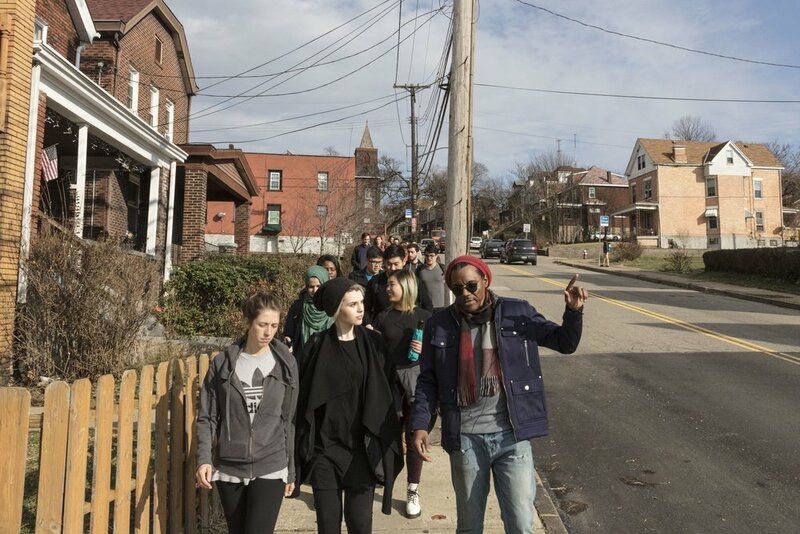 Pastor Tim Smith of the Center of Life Church approached the Carnegie Mellon School of Design after he began to "feel numb" from the continuous burial of lost young lives. With a plea for help, our design class decided to create a space to honor, mourn, and discuss the loss felt throughout this community. This exhibit serves as the senior capstone for the 2017 design class of Carnegie Mellon University. The team was composed of 32 students from both industrial and communication design, professors Dlyan Vitone and Kristin Hughes, and advisors Tim Smith and Charlie Humphrey. I Lived, We Live, What Did We Miss? Walking through Hazelwood allowed us to see first-hand the scars left by lost industry. Many building had become abandoned, showing only brief remnants of the purpose they might have once served when the town was bustling and alive. The streets also carried with it the tension of old and new as gentrification of this community can already be seen. Driverless Ubers zipped by us as Tim spoke about the Almono development plans-- a proposed 'tech campus' for robotics research (including Uber) which is set to begin construction later this year. The new site builds atop Hazelwood's 178 acre waterfront property and former location of the LTV Coke Works Steel Mill. Our first tour was lead by community members, including Pastor Tim Smith, which also gave us insight into how close-knit the people of Hazelwood are; it seemed as though every person we passed recognized Tim and stopped to exchange greetings and express interest in our project. Formal research allowed us to gain a profile of the current and former residents, businesses, incomes, and demographics of the community. Archival sources and case-studies and were examined to build a clinical understanding of the neighborhood, while news stories from TV, newspapers, and radio stations better informed our understanding of the historical and contemporary perceptions of Hazelwood. Working with community members was critical to building this exhibit. In hearing the stories, opinions, and aspirations of the residents, we were able to better understand the challenges, pain, and hope they experienced within their daily lives. 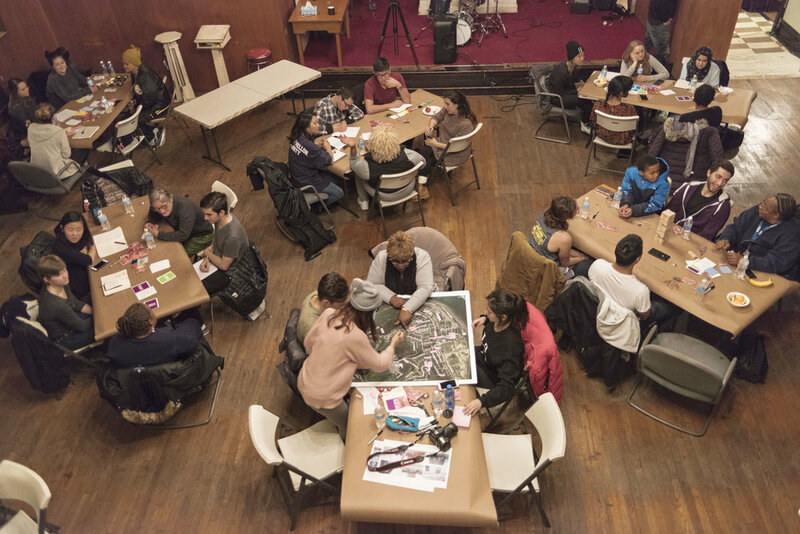 In this particular research session, members of the community were invited to an evening at the Hazelwood Keystone Church to participate in a design charette. Members rotated through different stations as we used prompts and make-tools to hear about topics ranging from business, to everyday tasks, and most importantly, the loss of their loved ones. A central portion of our exhibit focused on curating and displaying the objects once belonging to victims of urban violence. These keepsakes help tell the story of the lives lost in the community and the ones left behind who struggle everyday to pick up the pieces. Our project advisors helped set up a day where community members and their could be professionally photographed. At this time, formal interviews were recorded by Charlie Humphrey the former director of the Pittsburgh Filmmakers. What is your relationship to Hazelwood? How have you seen this community change over the course of your lifetime? Can you talk about the object you have brought in? Can you discuss the loss you have experienced? The footage from these interviews was critical to making our documentary on loss in Hazelwood, which was displayed within our final exhibit. Working in teams of three, our 32-person design team was tasked to respond to different aspects of life in Hazelwood and develop possible points of focus for the exhibition. Dormant Assets: How do we inspire dormant assets to become actualized in the individual? Potential Community Breaking Points: Loss is bittersweet; How can we make loss promote hope? Expressions of strength: How can we showcase that Hazelwood takes care of their own and that memories are important to the community? Sources of Strength: Faith is a catalyst for healing, outlook on the experience we share. Openness to revisit painful memories, community programs, love is the backbone of support. Opportunities: Loss could be a channel for connection, freedom comes through vulnerability, the unity of our past can speak to the potential of our futures. We then brainstormed rapid responces to the three of our themes to present to our larger team. Living Library: How can we capitalize on the dormant assets of the Hazelwood community by telling these stories in a physical library that we can interact with? Mapped-out-Community Resources: How can we visualize the commodities people of Hazelwood share? Could it be physically mapped? Could this dispel some resentment amongst the public? Portraits of Hazelwood: How can we showcase the people of Hazelwood through the memories that others have formed about them? As a class, we discussed our ideas and themes before deciding we needed more overall structure. We reframed our exhibit by focusing our concept into smaller themes divided by rooms. These rooms were inspired by one's actual home, and a direct responce to a sentiment repeated throughout our time spent with community members, that "hazelwood is my home". Working with four other design students, I focused on the section of the exhibit displaying the history of Hazelwood. By understanding how the areas of industry, education, community life, and business, have changed over time, our section lays the foundation for the current state of the community. Our exhibit space used both found and donated objects to create a timeline of the neighborhood. By visiting sites such as the former LTV Coke Works Steel Mill and abandoned Gladstone Middle School, we were able to source real artifacts including: worker's boots, Polaroid ID cards, school desks, and many other objects for use in our exhibit. The timeline of this community was built through continuous conversations with residents. In meetings, or 'town halls', we prototyped our ideas in order to reicieve feedback on our designs and also fill in the gaps from this neighborhood's past life that were undocumented in traditional research and literature reviews. The transformation of the space occurred over a four-day period from May 6th-May 9th. Teams worked in shifts around the clock to install, build, and finalize the exhibit. 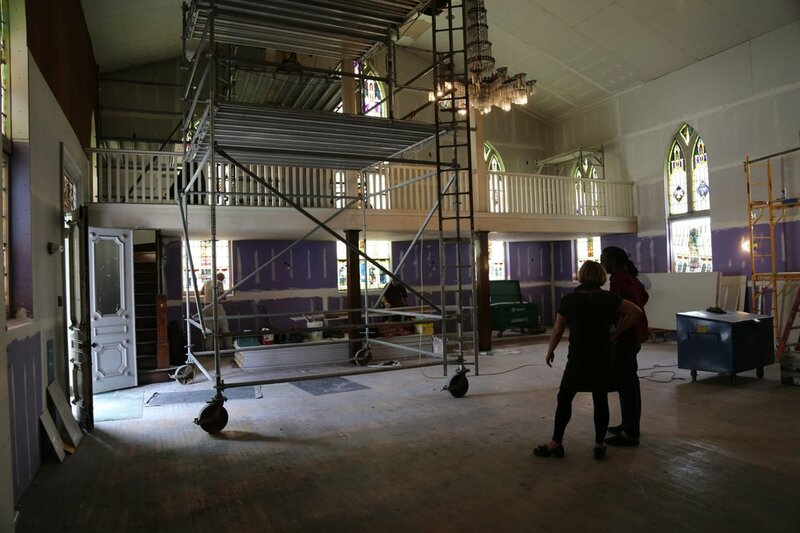 Prior to construction, painting and general maintenance had been completed (in late April) to transform the church to a fresh canvas.